Before embarking on the topsy-turvy world of the acting and entertainment industry Andrew was in the topsy-turvy world of policing the nation’s capital. After 13 years Andrew traded in the handcuffs for a clapper board and hasn’t looked back since. 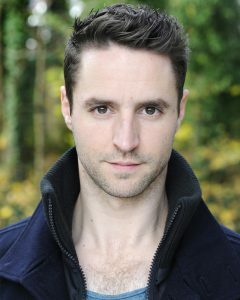 Andrew graduated from East 15 Acting school with an MA in Acting. He has written and directed three plays with Synchron; “ChroniCargo” (White Bear Theatre), “Den Preis Zhalen” (Basildon’s Towngate Theatre) and “Foresight” (Co-written with Amy Liette Hunter at The Courtyard Theatre). Andrew has also worked behind the camera on several Feature Films both as a 3rd and 2nd Assistant Director. These include “The Hatton Garden Job” (dir. Ronnie Thompson), “Vengeance” (dir. Ross Boyask), “Midsummer Night’s Dream” (dir. Sacha Bennett) and “Accident Man” (dir. Jesse V. Johnson). Andrew’s acting credits are, for stage; Hero in “Hero & Leander (dir. Whit Hertford), Monsiuer Louessiou in “Boulle de Suif” (dir. Russel Bolam), Leonce in “Leonce & Lena” (dir. Roberta Zuric, Brockley Jack) and Davis in “Foresight“, for film; Bates “Vengeance” and the Husband in “Accident Man“. Amy trained on the MA Acting course at East 15 Acting School. 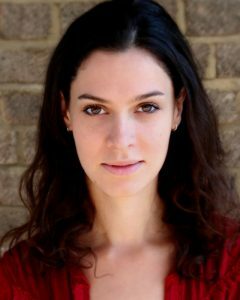 She is a London based actor and theatre-maker, originally hailing from Bristol. She was a part of the excellent Bristol Old Vic Young Company for six years before training on the Bristol Old Vic’s Made in Bristol programme, making work with resident company Hotel Echo Theatre Co. and producing and performing in their show “Wild Men” (dir. Samuel Bailey, Bristol Old Vic; National Theatre of Scotland; Lemon Tree, Aberdeen). Since graduating from East 15 Amy has appeared in “ChroniCargo” (White Bear Theatre) and Boireannach Theatre’s “Assembly Women” (dir. Helena Middleton, Vault Festival 2016) and in the feature film “Accident Man” (dir. Jesse V. Johnson). Amy is the director of photography and principal editor for Synchron Productions.